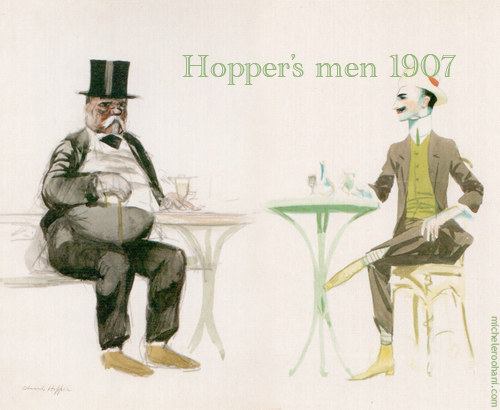 I knew Hopper before I met him again in Lausanne a couple of weeks ago and I was delighted to say hello to him again. He had some new things to show me. 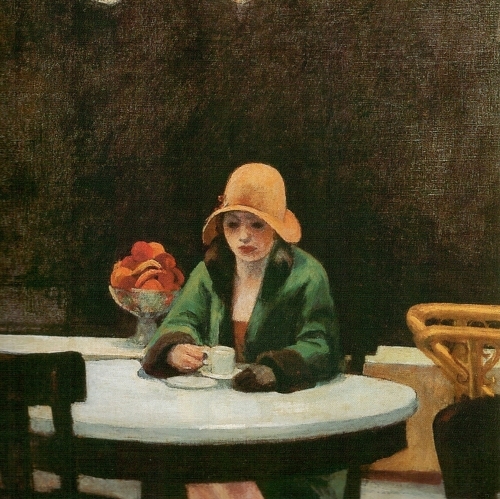 Silence is ubiquitous in his paintings even when there are many people present—it’s almost as if you have surprised these two ladies having dinner at “Chop Suey” restaurant (1927). 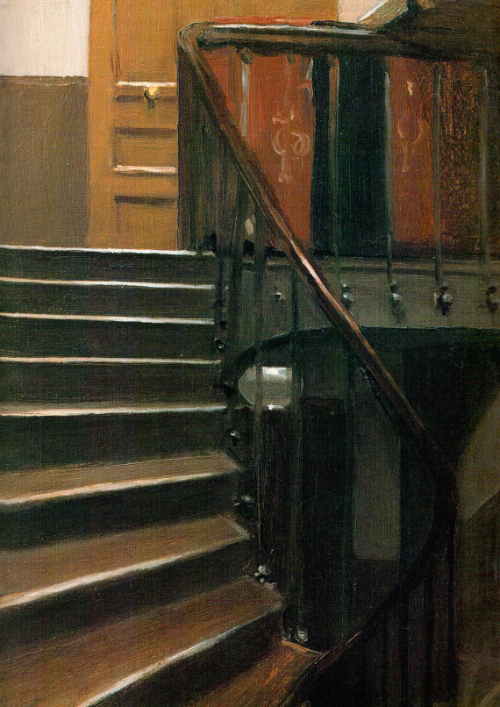 You always feel that Hopper is on the verge of saying something, but he hardly does. I have great memories of New York diners of the 1980’s (when I used to take English classes in Manhattan); they conjure up my first impressions of United States. 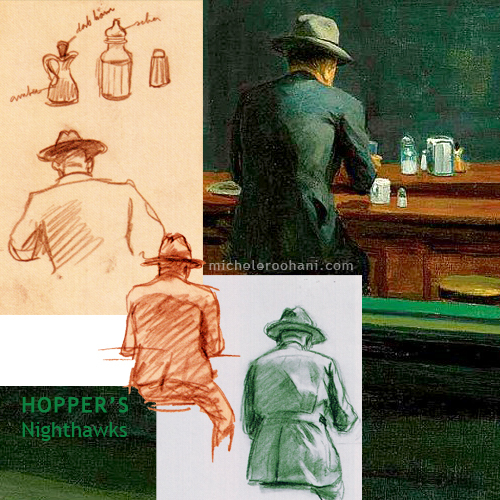 The NY Times article Ajay is pointing to in his comment is an amusing end to the puzzle of Hopper’s DINER. 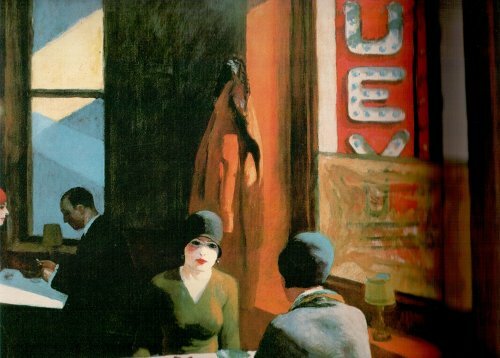 Hopper, famous for his reticence (“If you could say it in words,” he says, “there’d be no reason to paint”) created the Diner in his imagination! Let’s just go back to his women again. They bathe in liquid light: this movie usher below (1939), waits in her own little world, oblivious to the sound of the film being played next door in the theater. 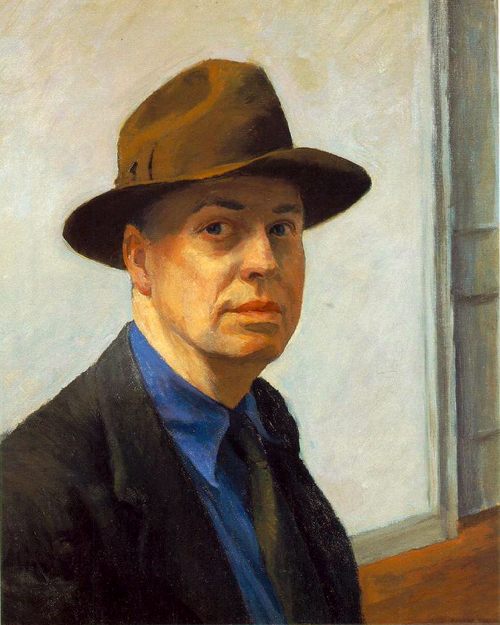 Say hello to Edward Hopper, a silent witness to an American century—he painted during 60 years of his 84 years on earth! 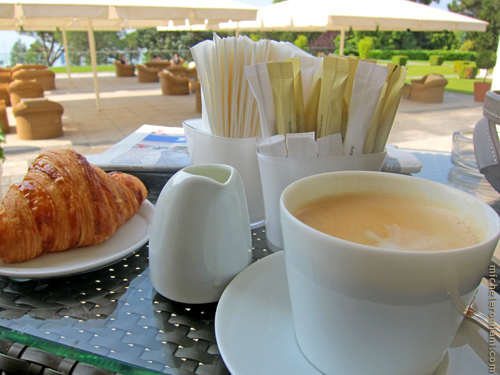 I waited that morning for Hopper in Lausanne’s Hotel Beau Rivage where you can only afford to have a coffee. 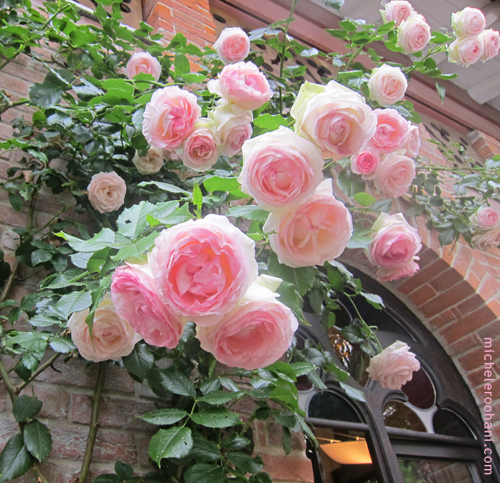 After the exhibition a stop at l’Esquisse, the little café of the museum, rich with climbing roses. 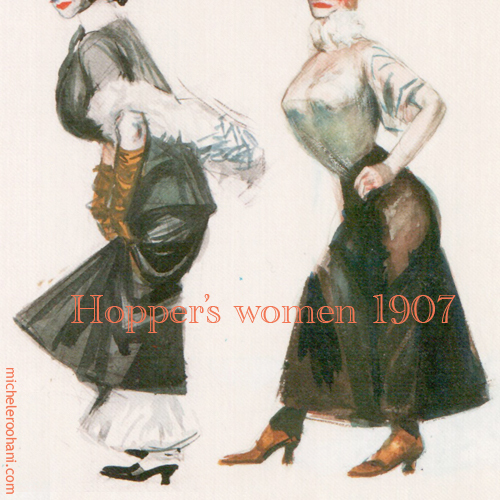 I may see Mister Hopper again in Paris in the near future in Grand Palais from June 10th 2012 through January 28th 2013. 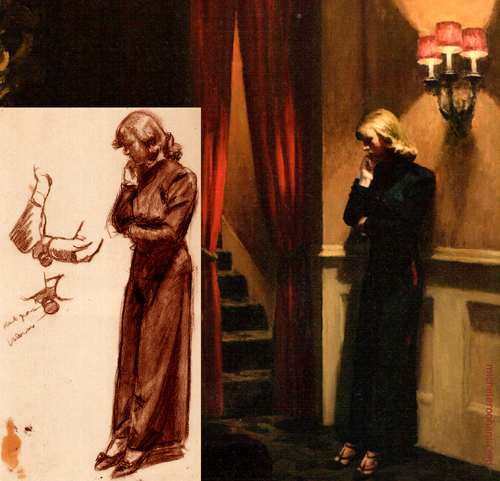 This entry was posted in art, compositions, museum and tagged american art, american painting, edward hopper, lausanne, museums, nighthawks, painting by Michele. Bookmark the permalink. Simply, thank you for bringing a moment of CULTURE to our otherwise tedious lives. 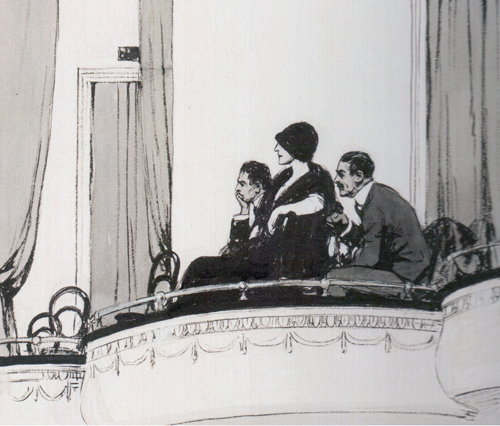 what a lovely idea to accept the invite from E. Hopper. 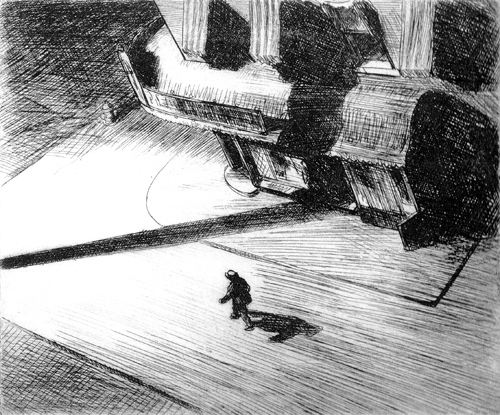 It was long time I did not see some art from him. 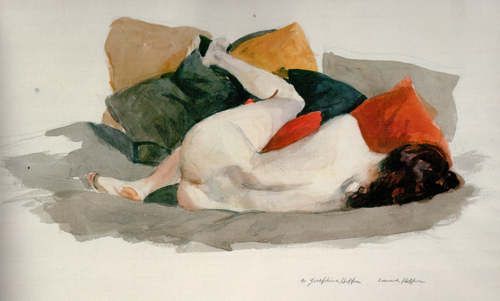 Silence, solitude.. two important words in our chaotic world (either in his 1907 and + years, or nowadays). Maybe these two words, silence and solitude are also two worlds, like bubbles where we can hide/protect ourselves. 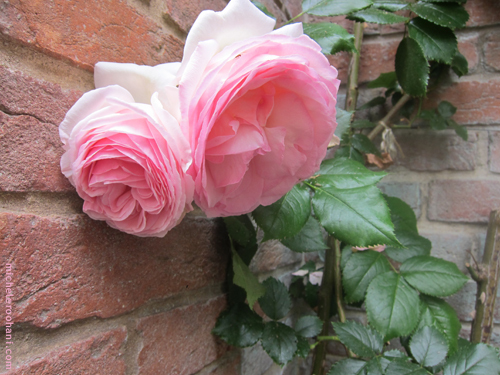 How would he have painted a rose ?? just like a silent and lonely woman perhaps.. ? I forgot to add something..
Total silence, almost oppressive in some canvases, not allowing you to breathe deeply..
Edward HOPPER m’est toujours apparu comme le peintre de la solitude urbaine, à laquelle on tente d’échapper en allant se réfugier dans un café pour échanger des phrases convenues avec le barman ou la serveuse. Cette opinion ne s’applique cependant pas à ses portraits. 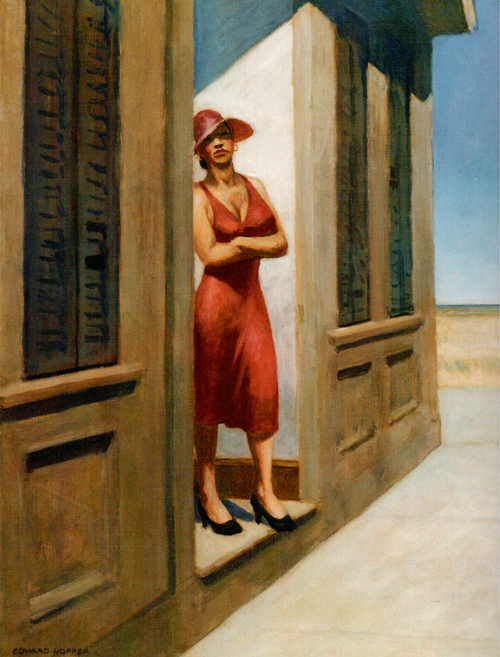 Hopper’s best pictures are representational only in that simplified, stripped-down, visually dissonant manner that suggests some distant memory, or a dream…. 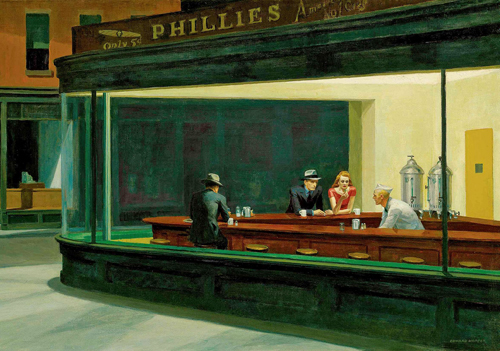 Nighthawks might be more widely recognizable in America than most of the works by Pablo Picasso or even Jackson Pollock because its transparent subjectivity speaks directly to the American experience, its ambiguity encourages every viewer to identify personally with the painting, and it has evolved into a meta-object of American culture. No one knows what, exactly, those people in the diner are thinking, but they don’t have to ask either. They are sad. They are lonely. They are desperate and depraved and they cling to one another and to some mysterious strand of waning hope that we all have, at one point, clung to ourselves.